Extinct Birds: In life, people are often told that they only realize the true value of something when it goes missing from their lives. In scientific sense, the real value of conservation is better discovered by appreciating the very lost of biodiversity. Scientists are predicting that for the coming decades, species on our planet will slowly perish and have a rate of extinction that is almost 1000 times the natural one. When that happens, we may lose more than half of all living organisms on our planet. Unfortunately, due to the advancement of technology and continuously increasing human population, the mentioned prediction of scientists might come true (even sooner). In fact, there have already been numerous reports about the extinction of many living organisms – many of which are bird species. 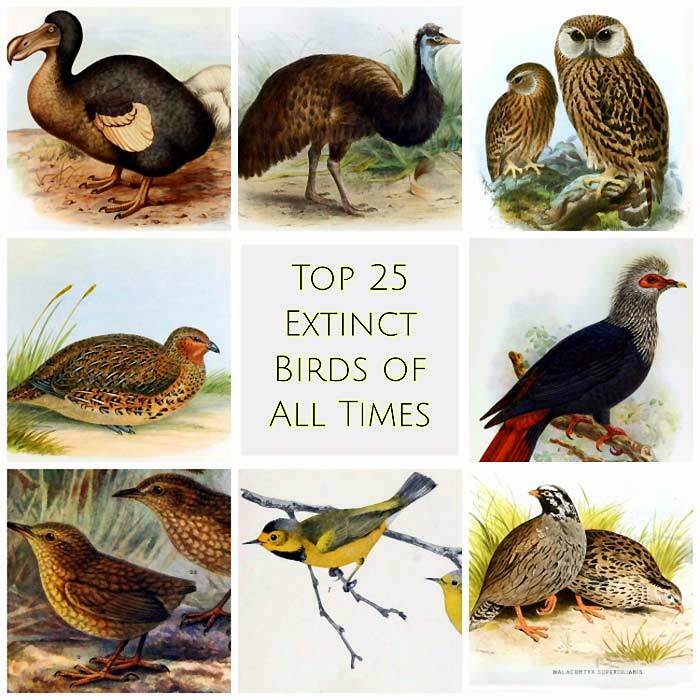 In this page, we will explore the 25 (already) extinct birds and find out what caused their mass extinction. Also, we will explore several reasons why birds are becoming extinct. Reasons Why Birds Are Becoming Extinct? The Dodo bird was a flightless bird that lived in the island of Mauritius in the Indian Ocean. There, the Dodo bird inhabited and nested on the ground as it had already lost its need and ability for flight. The start of the 1500s marked the arrival of humans to the island. Dodo birds have since then been widely hunted for fresh meat; thus reducing their large number. The rise of human exploitation and invasive species population is the main reason for the extinction of the Dodo bird in 1681. The Carolina parakeet , the only parrot endemic to North America, was characterized by having a vibrant green coloration for majority of its body, bright yellow colored head and shoulders, and a very distinct orange forehead. 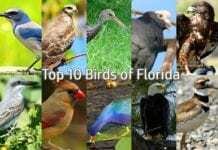 Check out the top 25 colorful birds in the world here. Carolina parakeets were considered to be poisonous as animals (like cats) that feed on them die from doing so. During the 1800s, these parakeets had become a serious agricultural pest as they formed loud flocks that would feed on fruits and crops. As a result, enraged farmers held mass slaughter of these birds. The killing and hunting of these birds, combined with the degradation of forests led to the decline of the bird population. By the 1920s, the Carolina parakeet was classified to be extinct. 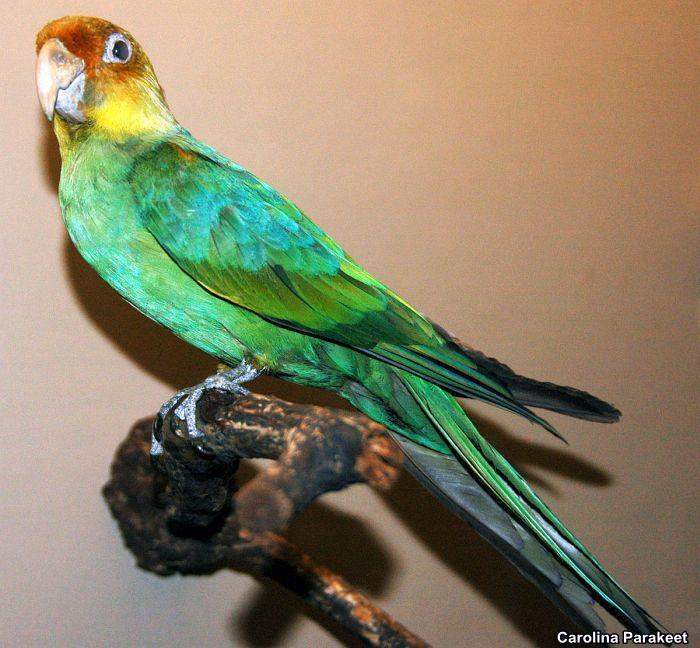 The above image is from the Oklahoma museum that shows dead Carolina Parakeet that was collected in 1880s. Known to be a migrant that breeds in the regions of United States and some parts of China, the Bachman’s warbler is a sexually dimorphic bird species that is considered to be extinct. The last breeding was officially recorded in 1937 and since then, no more further reports have been done. Scientists believed that the ‘Bachmans warbler has already become extinct due to widespread habitat destruction. However, they still hope to finds some as not all remnant patches have been searched. As its name suggests, the Tasmanian Emu was a subspecies of the Emu bird endemic to the region of Tasmania in Australia. 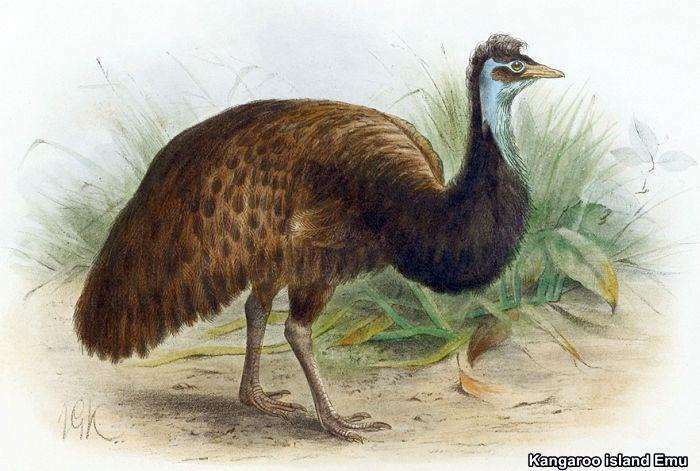 In comparison to their relative Emus , the Tasmanian Emus were believed to be smaller and appeared to be darker with the absence of the black feather that distinguishes Emus. 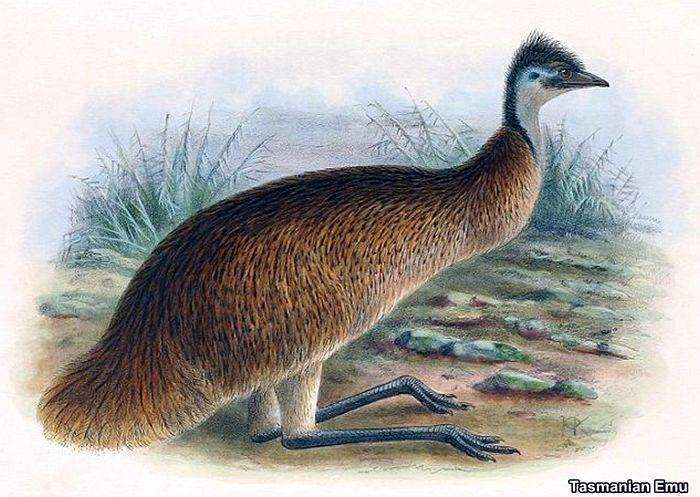 Records show that in just a span of 20 years (from 1830 to 1850s), the Tasmanian emu went totally extinct from just being locally extinct. 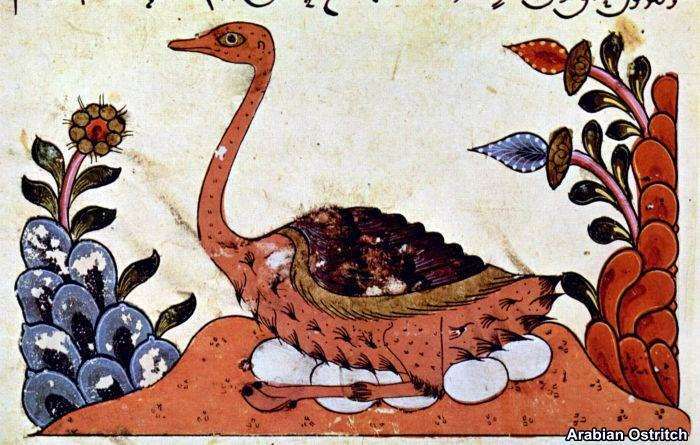 The next extinct bird in the list is the Arabian ostrich which is also known as the “Camel bird“. Basically, this bird inhabited the regions of Middle east several million years ago. In the Middle East , this bird was widely hunted for its feathers, skin, and eggs. In addition to that, the large size of this birds makes it very ideal as a dinner choice along with other animals like camels and zebras. During the early 20th century, the population of Arabian ostrich was greatly reduced as a byproduct of the World War II. Finally, the last Arabian ostrich to be recorded was found in Bahrain in 1941. Also called as the Garefowl , the Great Auk was a flightless bird that inhabited the rocky regions of North Atlantic, Iceland, and other parts of Europe. It is closely linked to penguins as both have the ability to swim in cold waters and living on land. Because of the “Little Ice age“, a large decline in Great Auk population was observed by the mid-16th century. These birds became widely exposed to predation and massive human exploitation as their down feathers are being plucked for pillow production. While there have been laws that prohibited the hunting of Great Auks, a great volcanic eruption during the 1830s had almost wiped out the Great Auk population. Unfortunately (in 1844), the last pair of Great Auks was killed as their egg was smashed by merchants in order to be used as specimens. As its name suggests, this bird was found to inhabit Seychelles, an archipelago in the Indian Ocean, off Eastern Africa. This bird appeared to be very similar to the Alexander parakeet, only smaller and lacking the distinct pink colored collar. Basically, its body was green with purple patches on its wings and yellow underside tail. 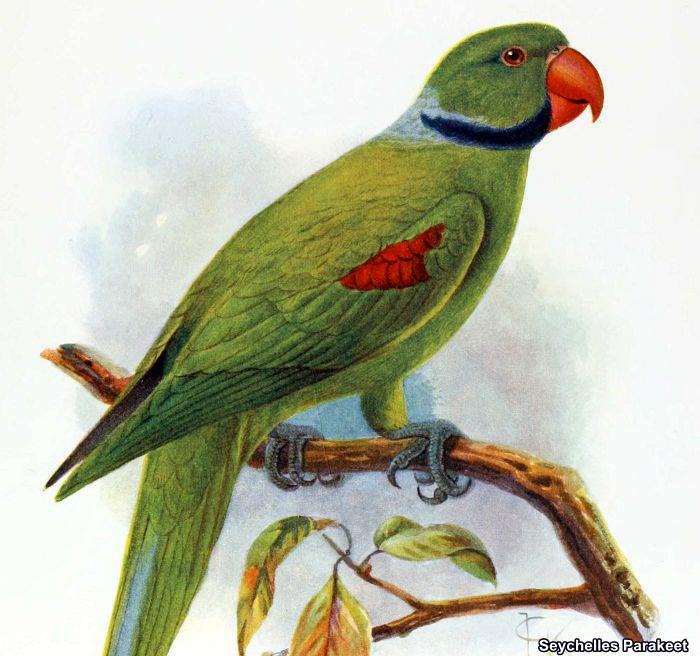 The Seychelles parakeet became extinct due to intense hunting pressure and they are believed to be already gone by 1893. 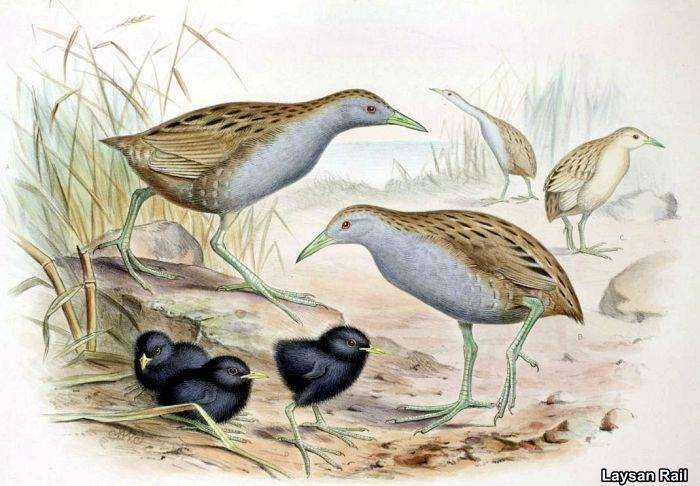 Known to inhabit the Northwestern Hawaiian island in the United States of America, the Laysan rail was flightless bird with brown overall plumage. It has grey underparts, black tail, red eyes, green legs, and yellow beaks. The population of these birds was totally wiped out due to the introduction of non-native rats in 1944. Perhaps the most numerous birds during the early 19th century, the Passenger pigeon had a total population of at least 3 billion – almost one third of the total bird population of North American birds at present. The Passenger pigeon, endemic to North America, is characterized as a noisy low-flying bird that come in large flocks. Despite their overwhelming number, by early 20th century, not a single bird was left in the wild due to the increase in predation and human exploitation. 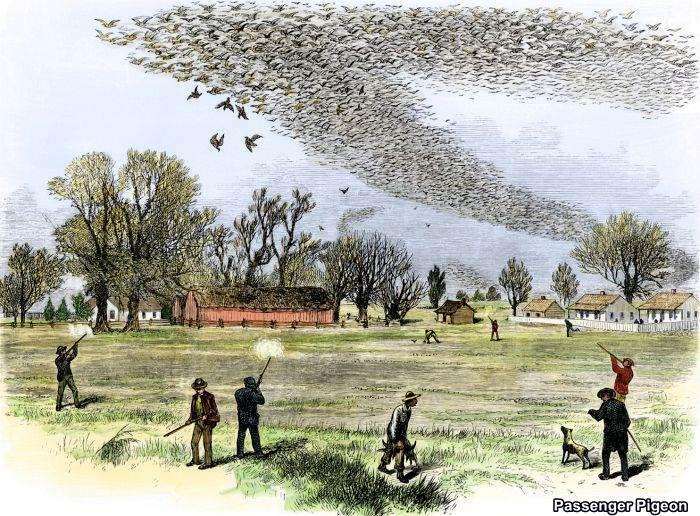 The above painting shows the shooting of passenger pigeons by hunters in the northern Louisiana, Smith Bennett in 1875. The very last Passenger pigeon named Martha was found dead in 1914. 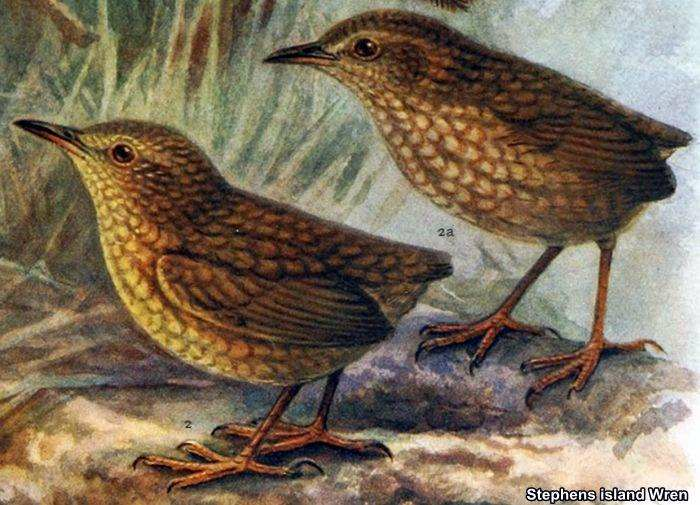 Also known as the ‘Lyalls wren, the Stephen’s island wren was a bird endemic to New Zealand. Interestingly, this bird was flightless as it possessed no keel on its breast bone in order to attach the muscles necessary for flight. It also had very short wings and loosely attached feathers. Because of the extensive island development and widespread predation by the exotic cats, the population of this bird became totally wiped out in 1895. 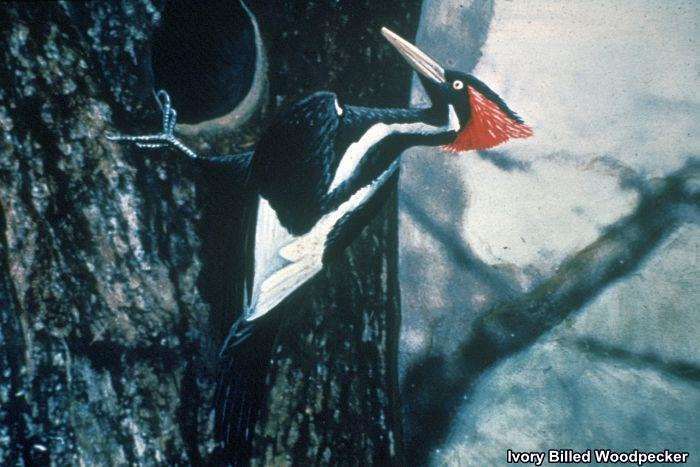 The next entry in this extinct birds list is the Ivory-billed woodpecker which is considered as the largest woodpecker in North Mexico and third in the world. Its extinction in the mid-20th century is believed to be caused by the destruction of its habitat as well as human exploitation. As its name suggest, this bird species was highly notable for its enormous white bill that somewhat resembled ivory. As a result, these woodpeckers were hunted for their bills to be used as decorations. The New Zealand quail, as its name suggests, was endemic to the North and South Islands of New Zealand. However, due to the widespread exploitation of Maori to use them as a food source, they had totally gone extinct in 1875. This genus of bird was composed of small ground birds and were the only representative of the quail and pheasant bird family. Unfortunately, this was the first bird species that went extinct after European colonization in the region. Only little information about the biology of this bird is available. Endemic to the northeast coast of North America , the Labrador duck was the first ever bird to become extinct in North America after 16th century. 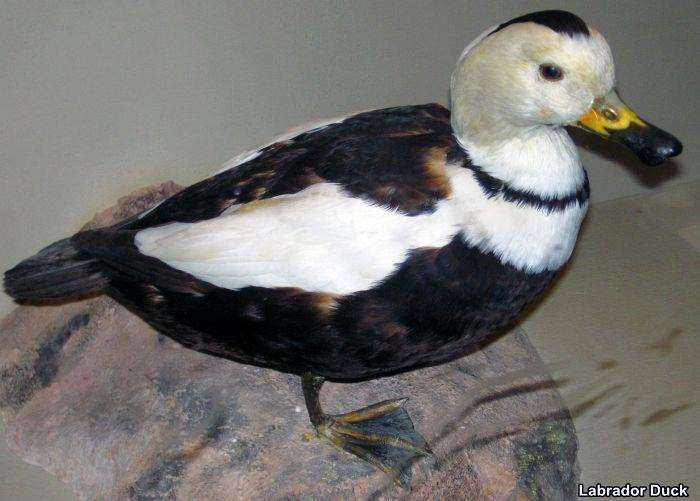 Also known as the Pied duck , this duck fed on mollusks like mussels. Even prior to its extinction in the 1870s, the Labrador duck was already considered to be rare; however, hunters continued to seek for it thus, resulting to its extinction. Known to inhabit deep crevices of limestone cliffs, theLaughing owl was the only endemic owl species in New Zealand. It was easily recognizable for its loud cry that sounded like repeated shrieks (hence its name). During the mid-19th century, this bird was still common but slowly decreasing in number. The extinction of the Laughing owl in 1914 was highly attributed to the destruction of its habitat, and the introduction of exotic species (such as stoats ferrets) that became its predators. The Chatham Island penguin is a species of penguin endemic to Chatham’s Island in Pacific Ocean, east of New Zealand. TheChatham Island penguin is a crested bird of the Eudyptes family which is characterized by the presence of white and black plumage with distinct yellow eyebrows. This penguin became extinct as a result of the arrival of human population (some time between 1867 to 1872). The Mauritius blue pigeon, as its name implies, was a species of pigeon endemic to Mairitius (Mascarene Island) in the Indian Ocean, east of Madagascar. This bird was very distinct because it somehow resembles the Dutch flag with its white feathers around its head, breast, and neck, blue body feathers, and red tail. Like the Dodo bird also native to Mauritius, this blue pigeon have gone extinct due to human colonization on the islands in the 1600s. The next extinct bird to make it to this list is the so-called “Madagascars giant” – the Elephant bird. 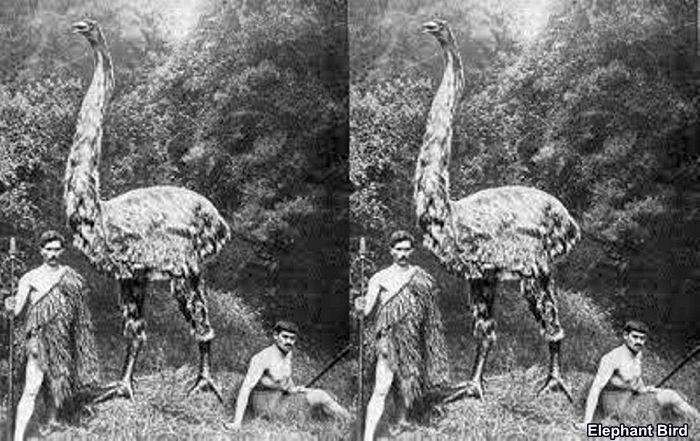 The Elephant bird is considered as the largest bird that ever existed. Like its close relatives, the emus and ostriches, this bird had a massive physique and sharp claws. However, this bird was not capable of running swiftly and even flying. Scientists believed that the extinction of this species in the 1700s was mainly because of human exploitation. This bird had eggs big enough to feed an entire family; hence it is no wonder that they were hunted for food source. 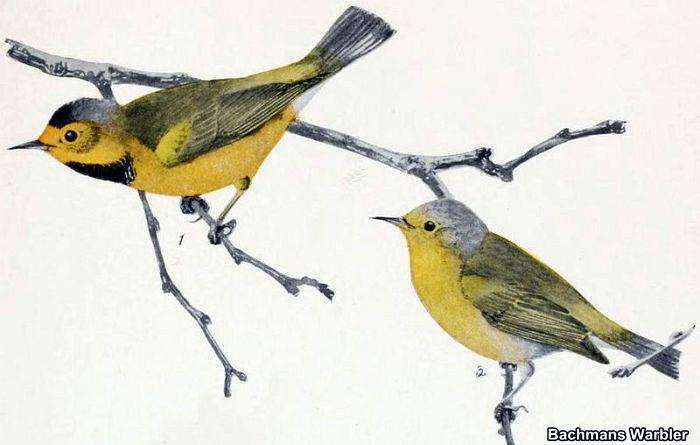 Endemic to the Marianne islands in Seychelles, the Marianne white eye is a newly-identified yet already extinct bird species. Very little information is known about this bird but it is believed to have an overall greenish plumage with a very distinct white eye ring (hence the name). This species had gone extinct between the 1870 and 1900s. As its name implies, the Himalayan quail is a species of bird endemic to Himalayan mountain ranges that separates India and Tibet. According to the records, this bird had characteristics of both a quail and a partridge. However, one distinguishing feature of this bird was its broad tail which is relatively longer as compared to other species of quail in India. 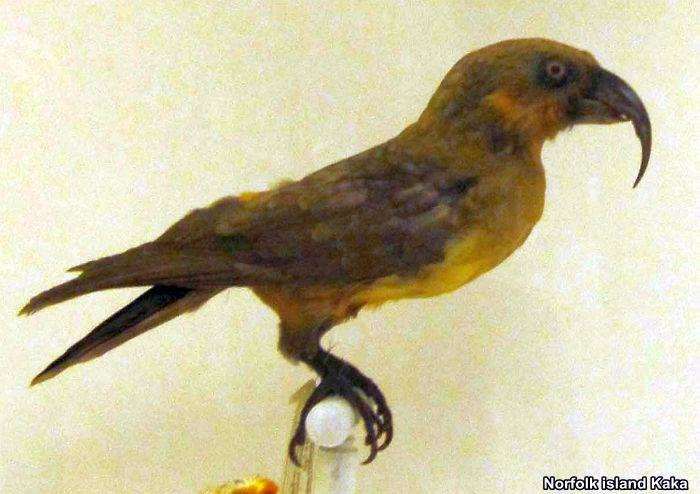 This bird was considered as extinct as it was last verified in 1876. At present, various attempts of looking for this bird in India are being conducted. 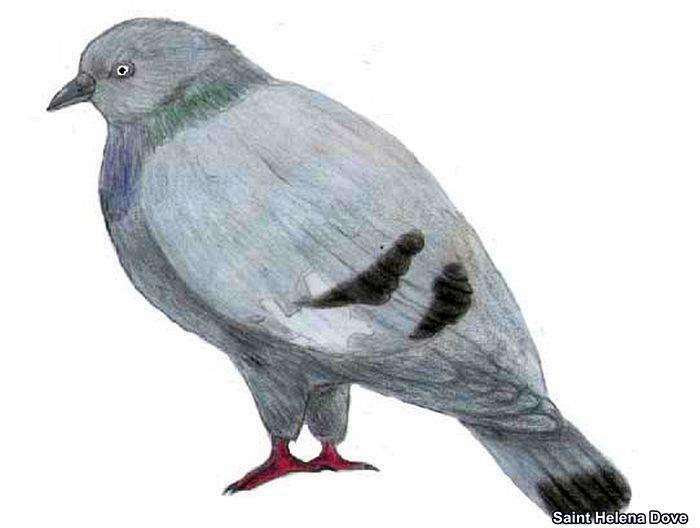 Coming from the Columbidae bird family, the Saint Helena dove was a monotypic genus of flightless bird native to Saint Helena island in the southern Atlantic Ocean. The genusDysmoropelia is a monotyoic genus; meaning it is the only member of that specific genus. Years after the discovery of the island (1502), this bird became widely hunted until it became totally extinct. Also called as the Dwarf Emu, the Kangaroo Island Emu is an extinct bird species that was endemic to Kangaroo Island in South Australia. As compared to the mainland emus, this species of emu was relatively smaller in size. Because of extensive hunting and habitat destruction, this bird species had gone extinct in 1827. The Norfolk Island Kaka is an extinct bird species that inhabited the Norfolk island and the nearby Phillip island during the 18th century. Scientists believed that this bird had a limited ability to migrate between islands; hence it spent most of its time in the islands where it was given birth. During the early 18th century, the population of this bird started to decline and finally in 1851, the last known Norfolk Island Kaka died in captivity. The next bird in this extinct birds list is the Reunion Shelduck or Reunion Sheldgoose that was endemic to the region of Reunion Island situated in the Indian Ocean. Little information is known about this organism since only fossils were found. The destruction of the forest habitat of the Etang de Saint-Paul is believed to be the main reason why this bird became extinct in 1710 . Also called as the Kauaʻiʻōʻō, the Hawaiʻi ʻōʻō was a forest bird that was native to the island of Kauaʻi. 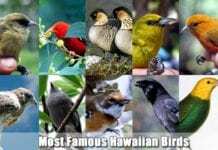 Check out the famous hawaiian birds here. The arrival of humans in the island, coupled with habitat destruction and introduction of exotic species had caused the great decline in the Hawaiʻi ʻōʻō population. Unfortunately, this bird became extinct in 1987. 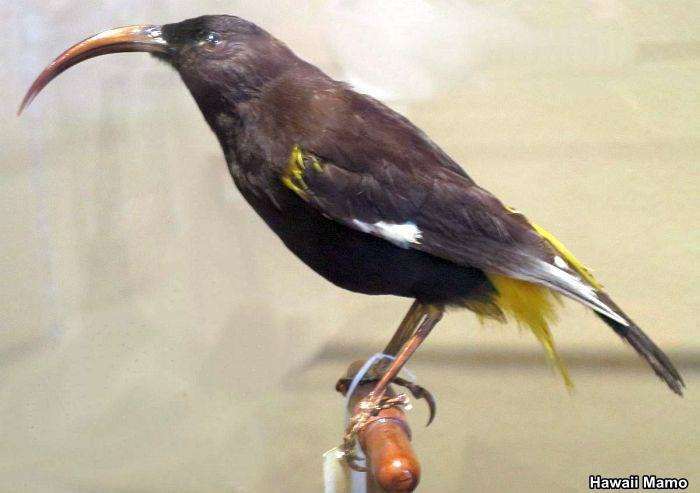 Classified as the songbird of the bird family Drepanididae, the Hawaiʻi mamo (Drepanis pacifica) is a species of extinct bird that used to inhabit the islands of Hawaiʻi. This bird was very popular because of the color of its feathers (black overall plumage with yellow undercoat). Because of its feathers, they were extensively hunted by the Hawaiʻian nobilities; thus resulting to their decrease in number. The exploitation of the Americans in 1898 finally caused the extinction of this bird species. The first reason is the Habitat loss due to human-made urban development activities (i.e., deforestation, industrialization, etc. ), natural catastrophes, cell-phone towers with amplified frequencies more than recommended levels, and climate change. One of the main reasons for birds going extinct is hunting and poaching. The introduction of non-native species (examples: rats, snakes) to the environment also disturbs the birds’ population since these animals make the birds nesting on the trees and ground very unsafe to hatch or raise the off-springs. Birds starve for food due to the shortage of food resources, or other bird species compete for the same food resources in the eco-systems. Bycatch of marine birds in fisheries occurs regularly when birds such as albatrosses and petrels are inadvertently get tangled in gill and trawl nets, causing them to lose their lives. Pesticides play a major destructive role in birds’ population. The concentrated pesticides applied on the field gets stuck on the grains which birds consume. This, in turn, alters the hormonal balance in the birds and results in weak eggs which cannot survive too long. Another reason is Biological Magnification (i.e., chemical toxins travel from the lowest chain species in the ecological pyramids to top of the chain). For example, the man-made contamination in the ocean bed gets into the fish diet which is then consumed by seabirds. The toxic poisoning makes the bird infertile or even fatal. 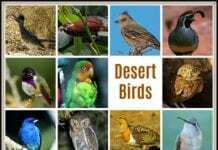 In some rare situations, the loss of a bird species is completely inevitable as the bird might be a new species evolved from other bird species (such as cross-breeding) and lack the adaptability and extremely sensitive to new environmental changes. In summary, if humans take conscious initiatives to conserve the environment, the birds going extinct can be reversed. Birds also share the planet earth, and it is not just for humans only! With the kind of technology we have at present, it is not impossible to retrieve these extinct organisms. However, the real question and more important one is: do we really want these species back? 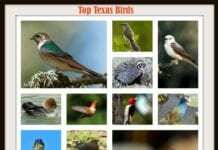 Cite this article as: "Top 25 Extinct Birds From Millions To Zero!," in Bio Explorer by Jack Kirsten, June 7, 2017, https://www.bioexplorer.net/extinct-birds.html/. All images are from Wikimedia under the creative commons licenses. 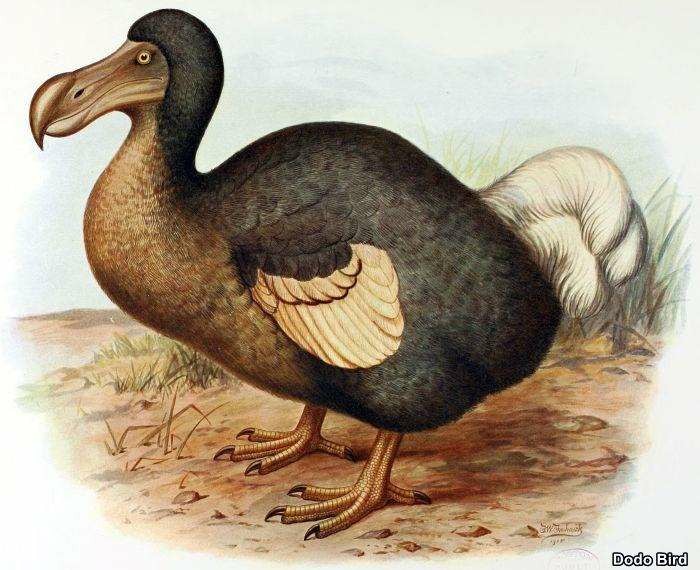 “Dodo Bird: an Extinct Species”. Accessed June 06, 2017. Link. “Carolina Parakeet: Removal of a "Menace" | All About Birds”. Accessed June 06, 2017. Link. “Bachman’s Warbler (Vermivora bachmanii) – BirdLife species factsheet”. Accessed June 06, 2017. Link. “Dromaius novaehollandiae diemenensis — Tasmanian Emu, Emu (Tasmanian)”. Accessed June 06, 2017. Link. “Nature of Tasmania: The Tasmanian Emu”. Accessed June 06, 2017. Link. “The sad story of the Arabian Ostrich – #ConcernedOfTheMarina”. Accessed June 06, 2017. Link. 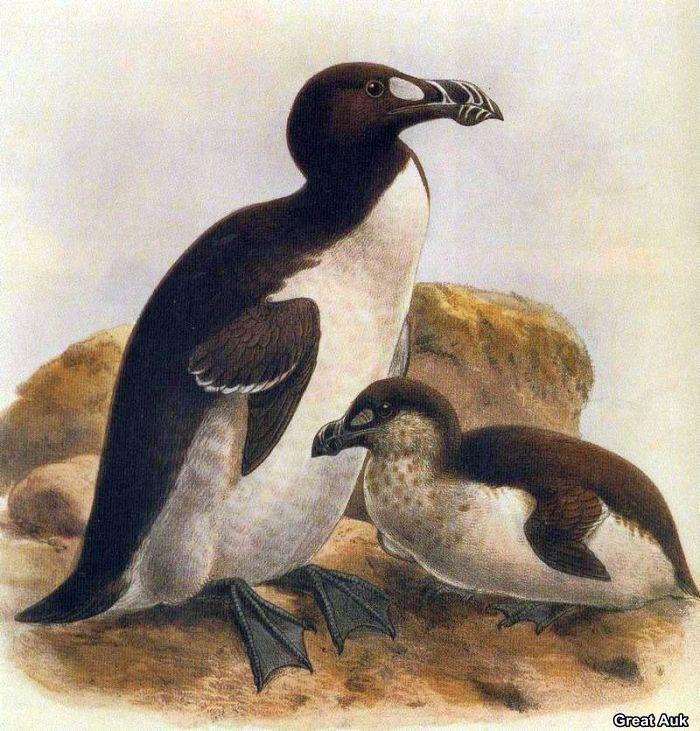 “great auk | extinct bird | Britannica.com”. Accessed June 06, 2017. Link. “The extinction of The Great Auk | John James Audubon Center at Mill Grove”. Accessed June 06, 2017. Link. “Seychelles Parakeets”. Accessed June 06, 2017. Link. “Seychelles Parakeet (Psittacula wardi) – BirdLife species factsheet”. Accessed June 06, 2017. Link. “Laysan crake videos, photos and facts – Porzana palmeri | Arkive”. Accessed June 06, 2017. Link. “Laysan Rail (Zapornia palmeri) – BirdLife species factsheet”. Accessed June 06, 2017. Link. “Why the Passenger Pigeon Went Extinct | Audubon”. Accessed June 06, 2017. Link. “3 Billion to Zero: What Happened to the Passenger Pigeon? – Scientific American”. Accessed June 06, 2017. Link. “Lyall’s wren | New Zealand Birds Online”. Accessed June 06, 2017. Link. “Ivory-billed Woodpecker, Life History, All About Birds – Cornell Lab of Ornithology”. Accessed June 06, 2017. Link. “New Zealand quail | New Zealand Birds Online”. Accessed June 06, 2017. Link. “Labrador Duck (Camptorhynchus labradorius) – BirdLife species factsheet”. Accessed June 06, 2017. Link. “Labrador Duck : EXTINCT BIRDS”. Accessed June 06, 2017. Link. “Laughing owl | New Zealand Birds Online”. Accessed June 06, 2017. Link. 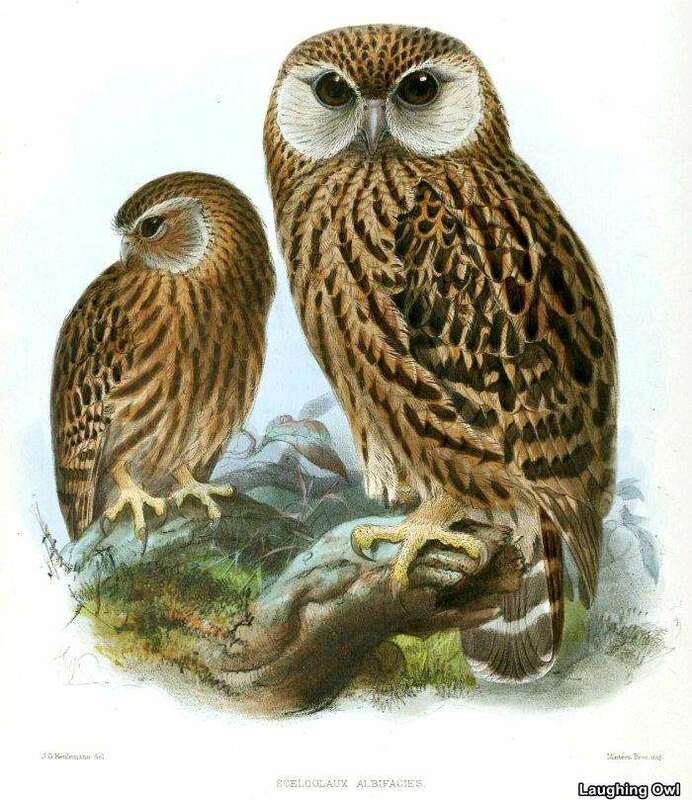 “Topic: The laughing owl's extinction | Collections Online – Museum of New Zealand Te Papa Tongarewa”. Accessed June 06, 2017. Link. “Chatham Islands penguin”. Accessed June 06, 2017. Link. 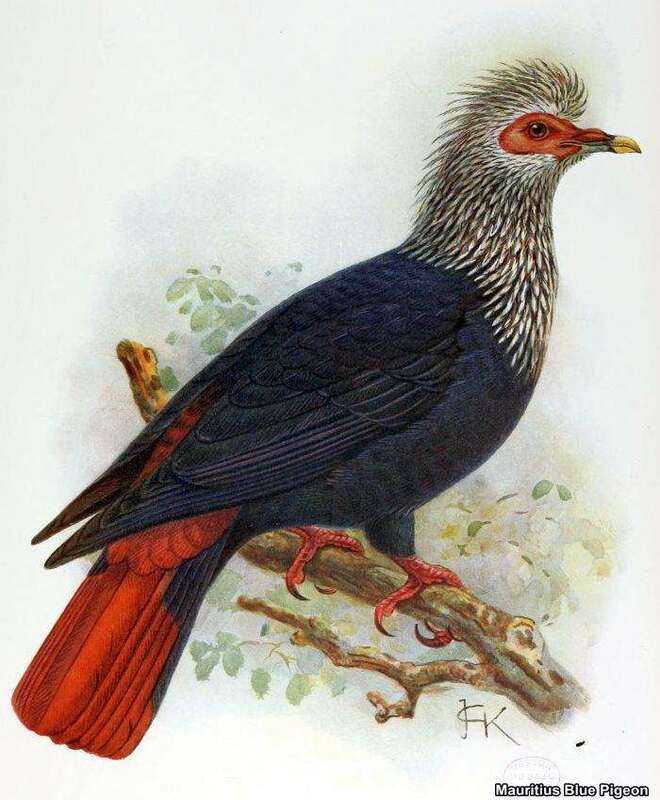 “Mauritius Blue Pigeon | A Field Guide to Extinct Birds”. Accessed June 06, 2017. Link. 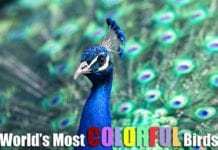 “BBC Nature – Elephant birds videos, news and facts”. Accessed June 06, 2017. Link. “Zosterops semiflavus (Marianne White-eye)”. Accessed June 06, 2017. Link. “Marianne White-eye (Zosterops semiflavus) iNaturalist.org”. Accessed June 06, 2017. Link. 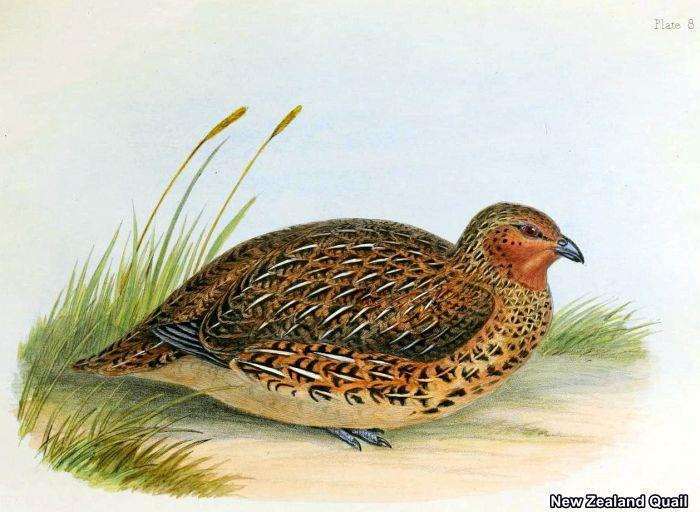 “The quest for the Himalayan Quail – Livemint”. Accessed June 06, 2017. Link. 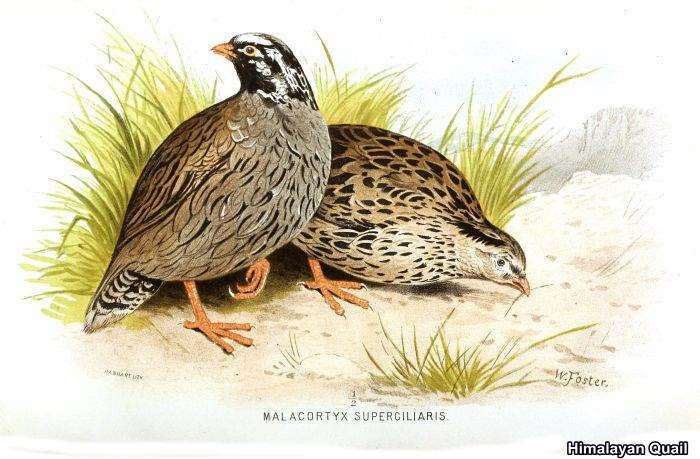 “Himalayan Quail, Ophrysia superciliosa – Redorbit”. Accessed June 06, 2017. Link. “Gutenberg, Project – Saint Helena Dove.” Saint Helena Dove | Project Gutenberg Self-Publishing – eBooks | Read eBooks online. Accessed June 06, 2017. Link. “Kangaroo Island Emu : EXTINCT BIRDS”. Accessed June 06, 2017. Link. “Nestor productus — Norfolk Island Kaka”. Accessed June 06, 2017. Link. “Reunion Shelduck (Alopochen kervazoi) – BirdLife species factsheet”. Accessed June 06, 2017. Link. 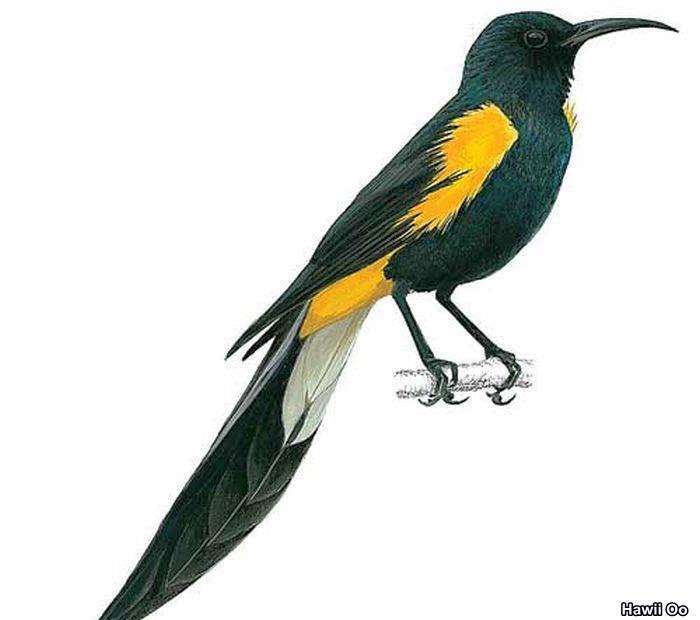 “Kauai Oo, Hawaiian Forest Bird | BirdNote”. Accessed June 06, 2017. Link. “mamo | extinct bird | Britannica.com”. Accessed June 06, 2017. Link.